Since 1946, we’ve helped hundreds of people move to-and-from Sudbury. Being a local, family run business based in Bury St Edmunds, Suffolk, we pride ourselves on delivering outstanding customer service. With our professional, friendly team and our efficient fleet of trucks, we can ensure your move is as effortless and stress-free as possible. If you’re looking at further afield, our International and European removals service has been relocating customers abroad for over 65 years. We are experts in all aspects of internationals relocations, whether it’s for individuals, families, military personnel or corporate clientele. Since 1946, we’ve helped thousands of people move house. To find out how we can help you, get in touch with one of our team today. Yes our team can pack your entire move for you, or we can supply boxes if you’d prefer to do a self-pack. 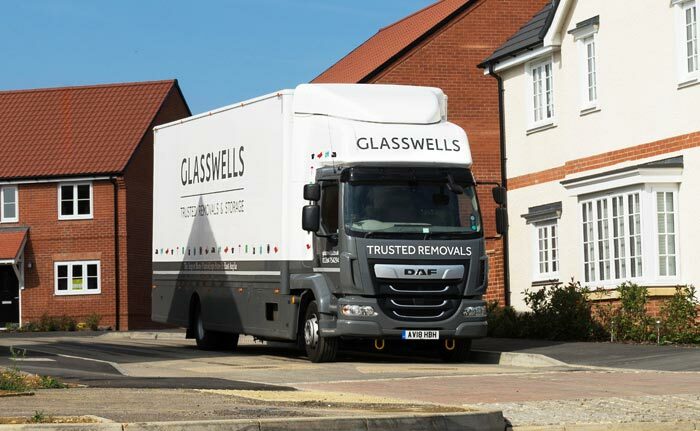 We can give you a rough estimate using our online quote calculator, or if you’d prefer to contact us directly, please email us on removals@glasswells.co.uk. We will then arrange a home visit where one of our advisers will give you a breakdown of the final price. If you’re happy with the quote, we’ll then start arranging your move! Are you a member of BAR (British Association of Removers)? Yes! We have been a member of BAR (British Association of Removers) since 1955. We are regulated by the Furniture Ombudsman, meaning we adhere to extremely high standards of customer service.